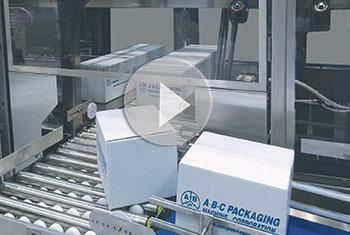 We build hardworking packaging machines that deliver top performance to your line. Every day, A-B-C machines are hard at work, case erecting, packing, sealing, palletizing, bulk depalletizing, decasing, unpacking, and more, in our customers' plants around the world. You can rely on A-B-C for quality machines that stand the test of time, supported by our comprehensive service, parts and support for the life of your equipment. With over 74 years of serving the industry, we have earned many loyal customers, and repeat business is the cornerstone of our success. When it comes to packaging machines, we know the business. We'd like the opportunity to earn yours. with a commitment to your complete satisfaction. Looking for a case erector? Learn some key factors to get the best machine for your application.